What are the characteristics of the Slovenian ICT market? A software business in Slovenia is included in a wider economic field, the information and communications technology (ICT) sector. Those who want to open a Slovenian company as a software business should know that the ICT industry was represented at the level of 2016 by a total of 3,190 businesses, which employed more than 20,000 persons. At that time, the value of the market was estimated at EUR 3,3 billion, while the total value of the Slovenian ICT exports accounting for EUR 1,3 billion. Investors who are interested in trading ICT products, including software products, should know that the main trading partners are represented by countries such as Austria, Australia, Cyprus, Finland, Ireland, Italy, Moldova and others; our team of consultants in company registration in Slovenia can provide an in-depth presentation on any trading regulations addressed to software products. What are the requirements for selling software products in Slovenia? • software companies selling such products have to respect a set of legal acts that regulate the manner in which trading can be concluded in Slovenia. 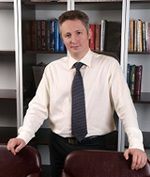 Thus, some of the most important regulations are given by the Metrology Act, the Trade Act, as well as by the rules concerning the minimum technical requirements that are compulsory for any business set up for selling ICT products here; our team of specialists in company registration in Slovenia can offer an extensive presentation on these rules of law. What are the main software activities developed in Slovenia? Slovenia provides at the moment a wide range of software activities (also referred to as computer programming). There are several main categories of computer programming activities, which are further sub-categorized in smaller fields of activity. Thus, when opening a company in Slovenia, businessmen may register a business for the development of activities related to computer programming, businesses set up for the purpose of offering consulting services related to software, or businesses in the field of computer science and management. A more detailed list of software activities that can be developed here includes the following: writing and testing software, developing computer programs, updating software programs, customizing software products in accordance with the need of a third party, creating operating systems, creating applications, databases and websites. The field also includes the management and maintenance of internet portals and other types of related activities. Why register a software company in Slovenia? Slovenia has become one of the most attractive jurisdictions for opening a software business. 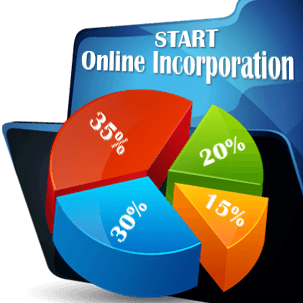 One of the main reasons for starting a business here refers to the advantages provided by the procedure of company registration in Slovenia which, for this sector, does not impose any special permits and licenses. Software activities developed in this country have to be classified under the country’s standard classification activities, which in this case, is the code SKD 2008, 62.010. 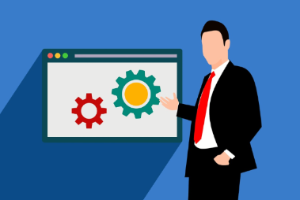 The registration procedure for a software business can be performed through the one-stop-shop system, and our specialists in company formation in Slovenia can offer advice on the procedure. At the same time, it is necessary to know that at the level of 2016, in the field of telecommunications, the highest growth rate concerning employment matters was registered for software businesses, where employment increased by 21%; the employment demand was mostly driven by software companies developing software products for computer games. Foreign businessmen are invited to contact our consultants, specialized in the procedure of company registration in Slovenia, for more information on how to set up an enterprise here.